Nisqually National Wildlife Refuge is located on the Nisqually River Delta in southern Puget Sound. Three thousand acres of salt and freshwater marshes, grasslands, riparian, and mixed forest habitats provide resting and nesting areas for migratory waterfowl, songbirds, raptors, and wading birds. 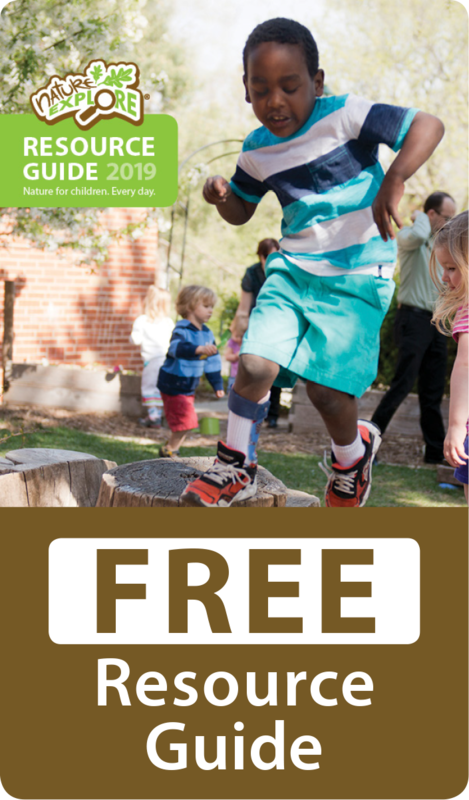 Sheila McCartan, Visitor Services Manager at Nisqually National Wildlife Refuge shared the following story with the Nature Explore Team which was then included on page 97 of Nature Explore’s new Growing With Nature book. 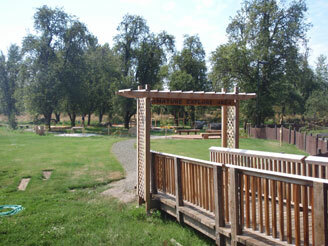 The Nature Explore Classroom is located in an orchard, developed adjacent to the new Environmental Education Center. Regional, natural materials are used throughout the site with many items, such as stepping blocks and balance beams, coming from reclaimed wood. The Washington Conservation Corps crew saved chunks of a downed cottonwood tree and hollowed them out for crawl through logs. Aesthetically pleasing willow fencing was used on sides of the classroom that are visible to the public. 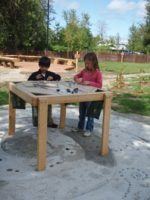 The Nature Art Area incorporates a two colored, concrete swirl flooring with natural items pressed onto the surface. This detail, as in all areas of the outdoor classroom, have been developed as a beautiful reflection of nature.